Modern science is now proving what healers for thousands of years ago have always known, that meridian energy pathways are vital to your health. The meridians in your body are energy pathways through which qi (chi) and blood flows continuously. When the qi flowing through these pathways gets blocked it can have consequences for your mind and body e.g. vitality diminishes, organs aren’t performing at their peak, you can even suffer from mental health issues. 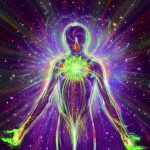 All living things are vibratory beings, each constantly sending out unique signals that generate an energy field. Your body grows out of this energy & if your fields are not optimal, blocked or distorted, this will manifest in your physical being. The meridians in your body flow roughly along the natural lines of your arms and legs. Some flow up the body (yang meridians) and the others flow down (yin meridians). Some are more active during the night than the day. One of the most interesting things about meridian healing is the inherent mind body connection. Negative emotions are what are create blockages & disrupt our qi. Negative emotions correspond to specific meridians, upon identifying the meridian you should focus on e.g. if you’re feeling fight, flight or overwhelm, you should focus on releasing blockages in your triple warmer meridian. The meridians are run, flushed, or given sound therapy treatment (tuning forks). Feel the vibrational changes in your body as the tones of instruments help to create change at a cellular level. Meridian healing is something you can do & see results immediately. Meridians support radiant health by facilitating the flow of energy throughout your body. During: a Meridian Energy Session we use kinesiology to find your blocked meridians & then, we either run or flush the meridians, use tuning forks, a chi balance, 5 elements balance or ESR (emotional stress release). After: Your Meridians will be back into their natural aligned energy flow. Remember to drink water & have an easy day. Depending issue, we suggest a follow-up appointment for further support after approx 4-6 weeks, &/or chakra correction, some may require 3 sessions closer together at first. Note: Bank Transfer also accepted. Please add your name to the receipt & send receipt to us by email.